Bangalore side had players like KC Cariappa and Jagadeesha Suchith who represented KKR and Mumbai Indians in the last edition of IPL. This football ground in Chennai doubled up as the cricket pitch for the premier All India university tournament. 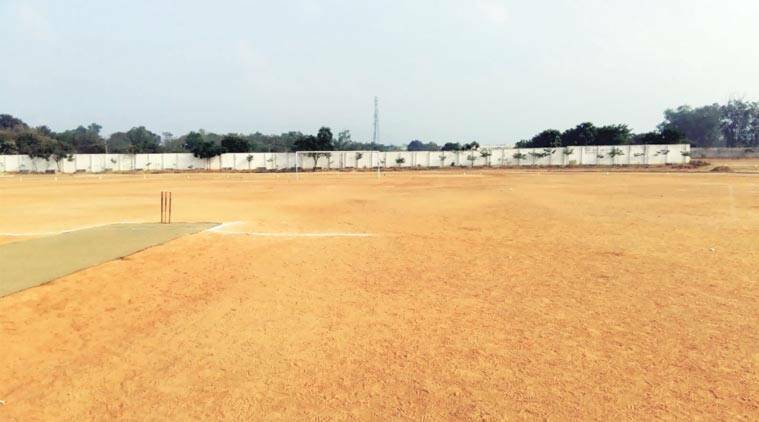 The now-forgotten but once the nursery of Indian cricket, Rohinton Baria inter-university tournament, seems to have been hit by administrative apathy. The Mumbai University team were appalled by the poor quality of pitches in Chennai, which hosted the tournament. To the players’ surprise the matches were played on football and athletic grounds, the pitches were on matting wickets and the outfield was dusty. The All India University conducts this tournament every year and this year it was to be held in Chennai by Saveetha University. Rohinton Baria tournament, instituted in 1935-36, was one of the premium tournaments to spot new talents. Famous cricketers like Sunil Gavaskar, Ajit Wadekar, Dilip Sardesai, Dilip Vengsarkar, Sanjay Manjrekar, Anshuman Gaekwad and many more made a name for themselves through this tournament. “To the players’ surprise, the matches were played on football and athletic grounds, the pitches were on matting wickets and the outfield was dusty. The All India University conducts this tournament every year and this year it was to be held in Chennai by Saveetha University. The Indian cricket board is angry with the sad state of affairs. “We had told them many times that wherever you are organising these matches you write to that state association. They will provide with grounds, umpires and other basic facilities. BCCI is ready to help but it seems AIU is not at all interested. How can you play such kind of tournament on football and athletic ground?” a BCCI official asked The Indian Express. Mumbai University sports director UN Kendre says he will raise the issue with AIU. Six players from the Mumbai under-23 team were part of Mumbai University team whereas Bangalore had players like KC Cariappa and Jagadeesha Suchith who represented Kolkata Knight Riders and Mumbai Indians in the last edition of IPL. The Mumbai team manager Rajesh Sonawane was surprised by the facilities in Chennai. “How could you play a tournament like this in today’s time? Tournaments like these need proper facilities. The pitches were worse. It had uneven bounce. We all felt as it’s in Chennai we will be playing on decent grounds but we didn’t know it would turn out to be a football ground,” Sonawane stated.